iPrimio Non-Stick Litter Box Review - Is Stainless Steel Good For Cats? I decided to make a review of iPrimio stainless steel litter box because it’s the first one I’ve seen with a non-stick coating and with a good size XL suitable for large cats. 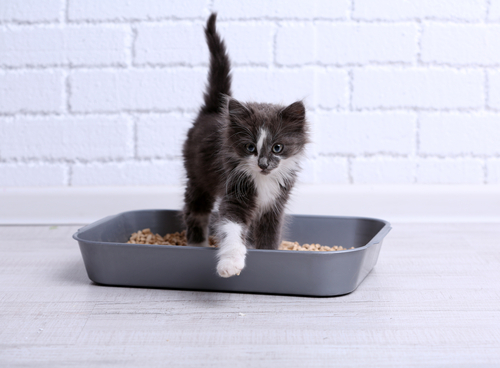 iPrimio cat litter box uses the same type of non-stick coating commonly used in frying pans. This makes the scooping easier because the waste doesn’t stick to the sides or the bottom as much as a regular plastic litter box. Stainless steel doesn’t harbor bacteria as the plastic trays so the odor is much better controlled. 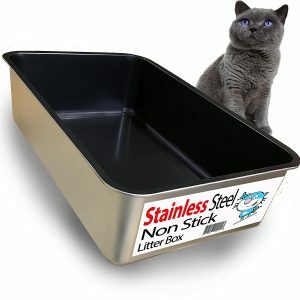 If you have been using plastic litter boxes for your cat and you’re tired of trying to stop the litter box from stinking, the stainless steel type is worth taking a look at . This review will help you decide. The iPrimio non-stick coating has been tested many times to determine the resistance of the coated surfaces against metal scoops. If you don’t want minor abrasions you must use the scoop gently or use a plastic scoop. If the coating gets scratches, this doesn’t affect the efficiency of the non-stick properties. The non-stick coating is secured through a high heat process to adhere the coating on the stainless steel surfaces to ensure the resistance of the non-stick properties. iPrimio may be too tall (6-inch) for young kittens, however, if your kitten is over 8 weeks age, it can start using this litter box. There are 2 versions of iPrimio cat litter box. One is the non-stick coated and the other is only stainless steel on the inside. Currently they only have the non-stick coated version in stock. 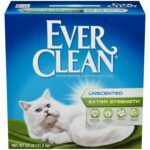 What are the pros & cons of iPrimio non-stick coated cat litter box? Saves on money in the long run, it keeps you from buying a new plastic pan every 6 months. iPrimio non-stick cat litter box is an excellent solution for a more hygienic litter box for your cat which ensures good health for your feline. Stainless steel doesn’t harbor bacteria as the plastic trays do and this is crucial because the less contact of your cat’s paws has with bacteria, the less chances of your feline to ingest germs. Additionally, the XL size of this pan is good to accommodate all felines sizes. The 6-inch deep is not that tall but, allows cats to enter the litter box without much difficulty, however this makes it not suitable for cats that tend to lift the leg to urinate. 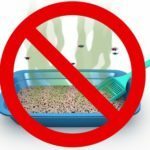 If your cat urinates high, check my article of suitable litter boxes for high spraying cats and find out a better alternative for you. 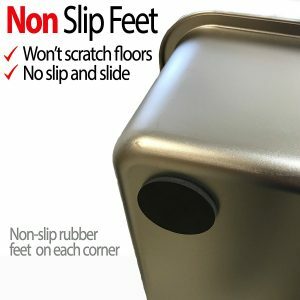 Lastly, the coating properties of this litter box can be deteriorated if you scoop too strongly with metal scoops because the coating gets scratched. 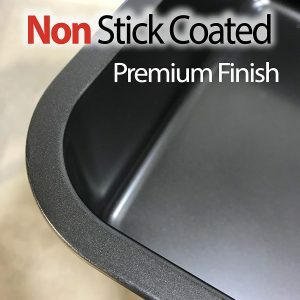 Even though the non-stick properties of the coating doesn’t get compromised by minor scratches, it’s always a good idea to scoop gently to avoid possible deterioration of the inside surfaces.